In a large bowl, mix together all ingredients and form 24 mini patties (about 2-inch square and 1/4 inch thick). 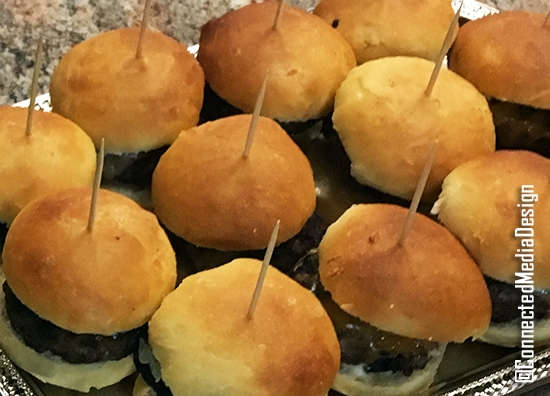 Grill your mini burger patties for about 2 – 3 on one side then flip and cook for 1 minute. Place the cheese slice on top and cook until melted. Serve on dinner roll.